The drive JP-280 is a compactly built, not explosion-proof, internally ventilated universal motor that is our top seller for aggressive media in the chemical and the galvanic industry beside JP-180. 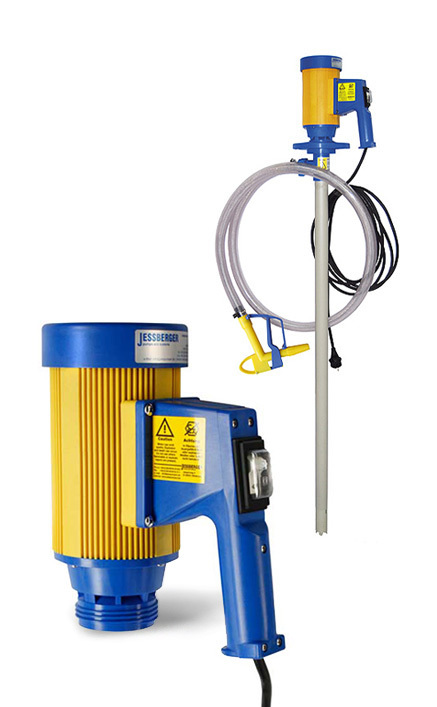 This handy, very robust and powerful motor can be used to drive the suction tubes of drum pumps. 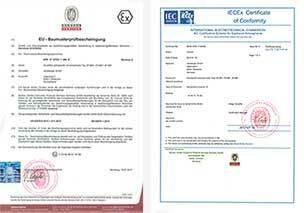 In this combination it is suitable for many thin liquid and slightly viscous, neutral, aggressive and non-flammable liquids (max 1,000 mPas). Its sophisticated, technically clear structure ensures an efficient and safe use when transferring a wide range of media. The drum pump motor is characterized not only by its light weight (3,8 kg) but also by its elegant design and ease of use. The non-stationary and stationary usable drive is particularly suitable for intermittent operation. As internally ventilated motor it has an optimal air cooling, low noise and ensures high operational safety and long lifetime. The motor housing made of polypropylene ensures a high chemical resistance when aggressive vapours of acids and alkalies are present. The standard in the on/off switch integrated low voltage release is intended to prevent an uncontrolled start of the drum pump motor after a power failure or voltage drop and thus guarantees maximum safety. The flow rate of the media to be pumped can be regulated by an optionally available speed control that is integrated in the motor handle. 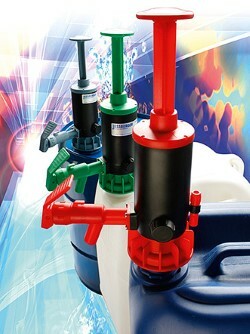 Therefore the flow rate can be adjusted to the needs of the user. 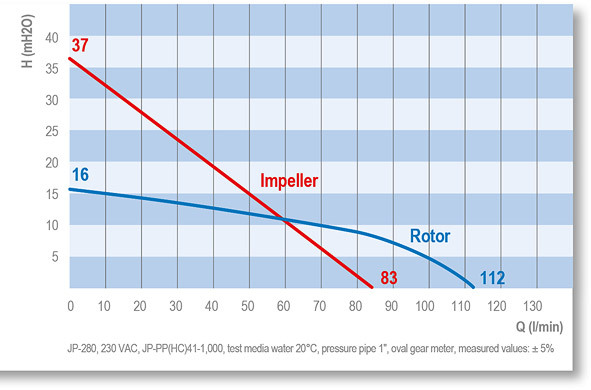 The maximum density of the media is for the JP-280 universal motor 1.9, the maximum viscosity 1,000 mPas. The speed of the drum pump motor JP-280 can be controlled electronically via a knob on the handle. This enables an adjustment of the flow rate. The electronic speed control is available as an option. 230 Volt, 50 Hz, 825 Watt, IP 24, double insulation protection class II, over load protection switch with integrated low voltage release. 5 m cable with plug. Also available in 115 volts, 60 Hz.